Prunes are not only a mandatory component so beloved by many of compote of dried fruits. By itself, it is very healthy and tasty. Everyone knows its beneficial effect on the gastrointestinal tract. But other than that, plum is able to raise immunity, to absorb free radicals and because of this, even have a rejuvenating effect on the body and improve skin condition. If you have the desire to smoke the plums on their own, at home, be prepared for the fact that it's quite a long process. As a result, you will get a delicious dessert, to preserve the maximum benefit. Look your prunes will be a little not so elegant as the one you see in store, however please note that the glitter on the purchase prunes is achieved by chemical treatment and fumigation by gas. Choose only whole and NetService plum. Rinse them well. Put on the stove a pot of water and when the water boils, dissolve in it sodium bicarbonate based 100g of soda in 10 liters of water. Lower the sink in a solution of soda literally 10-20 seconds. The blanching will help to speed up the drying process. The fruit will appear mesh of fine cracks. Put the plums on a towel to dry off. When the fruit dries, gently prick them in several places with a fork. Quite a few punctures. The bone removed is not necessary, it is proved that fruits, dried fruits retain much more vitamins and minerals. Now put the plums in a single layer on the baking sheet the oven. 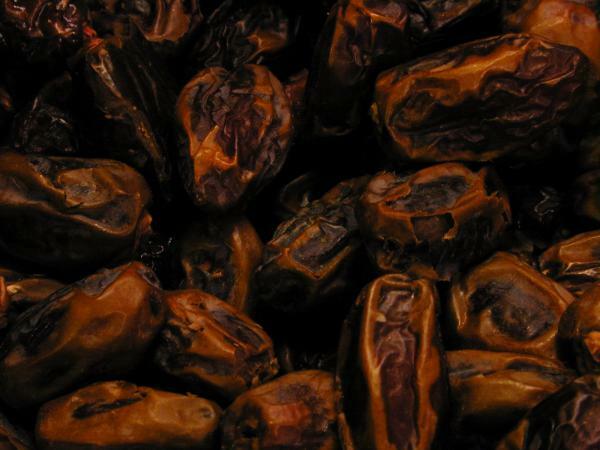 Dried prunes need in several stages of 4 hours each. The first 4 hours of the temperature in the oven must be equal to 40-45 degrees for the next 4 hours 60 degrees and then bring the heat up to 75-80 degrees. Every 4 hours, remove the pan from the oven and let the fruit cool to room temperature. This needs to be done to the fruits by overheating is not broke and has not lost the juice. To cool drain should be approximately 3-4 hours. Try to flip the cooled fruit, to achieve uniform drying. Dosushivanie prunes, removing the baking sheets from the oven, at room temperature. Ready prunes must be flexible, dark, dull and as if slightly covered with dust. This means that the treatment process does not use chemicals. In the industrial smoked prunes to accelerate the process uses the fumigation smoke (with sulfur dioxide), as well as the treatment of the fruit with glycerin. It is due to this treatment they have a shiny, glossy look. However, you made a truly useful and clean product. Keep ready the prunes in a dry cool place, lay on paper bags to avoid dampness. It is possible to cool the fruit by turning on the fan or in the kitchen creating the air movement, opening a window.